Sometimes, a backdrop on its own does not create the dramatic scenery required for an important event or romantic wedding. Our stylish ready-made wedding swags and overlays are the metaphorical ‘icing on the cake’ when it comes to event decoration and are the final touch that can bring a whole theme together. Our range of overlays and swags is huge, with a wide variety of shapes and sizes. We offer colours to suit every theme and some more unique designs for those events that really need to stand out. 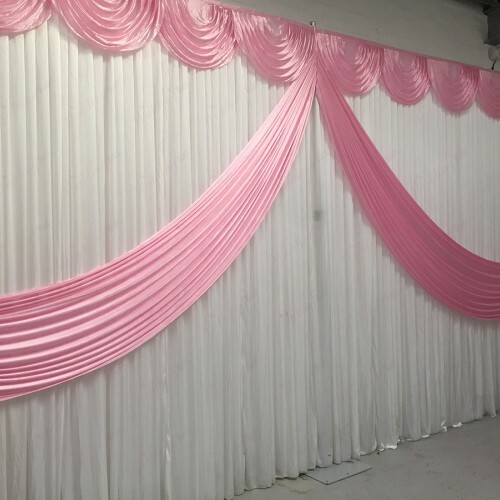 Traditional swags and pretty voile swags can have a brilliant effect when used on tables and backdrops, making them a lovely choice for weddings, but for award ceremonies and other such events, we love the look of butterfly and creative swags. When it comes to overlays, these look especially impressive when laced with LED lights to ensure they stand out against your backdrop and are ideal for times when you need your event to have a theatrical edge. All our swags and overlays are easily attached to table cloths and backdrops thanks to our clever clips and Velcro strips along the top of the fabric. This also makes them just as easy to remove, so that clearing up after an event is no trouble at all. 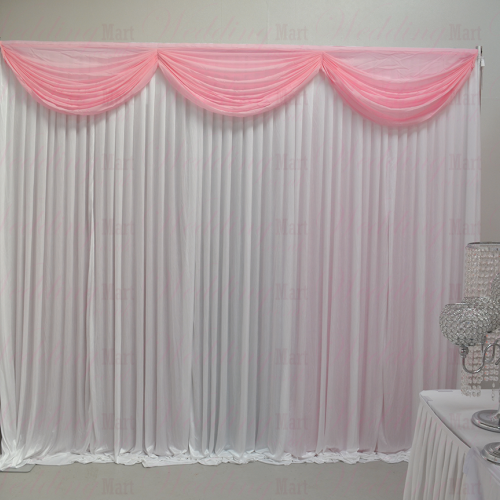 Wedding Mart is the original creator of this strip system, loved by wedding planners and other manufacturers alike. 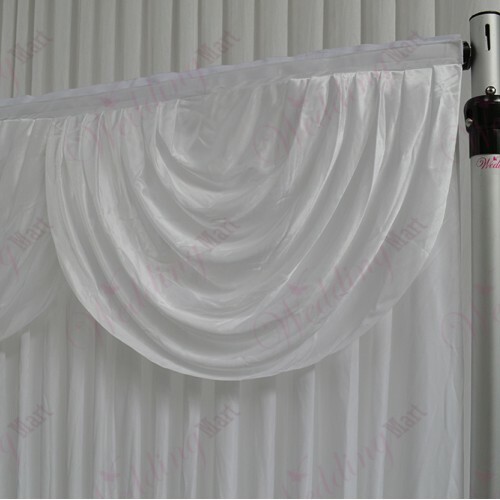 As the manufacturer of many fabric event decorations, we are confident in the quality and design of our items. These are products that have been made to last through many big occasions, so they are ideal for wedding planners and event organizers to use. Our bulk-buy prices are typical of many wholesalers, but the durable and stylish nature of our swags and overlays means that they far outweigh any offerings from similar businesses. We can also provide next day delivery on many of our event embellishments for last-minute changes or emergencies.